Desk Crates make a fun way to store and display your pens. 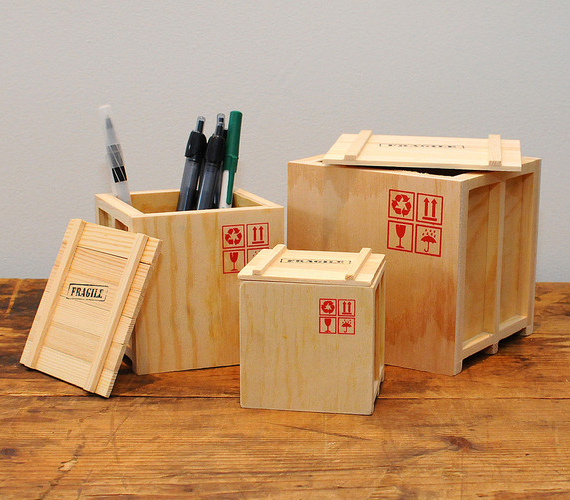 They look like miniature shipping crates stamped with “fragile” and other shipping icons. The set includes 3 different sized crates with lids.